The next Parent Council meeting will be held tuesday November 10th, 2015, at 7pm. All are welcome to attend. Can we be dowloaded here. Get out your costumes and get ready to party! 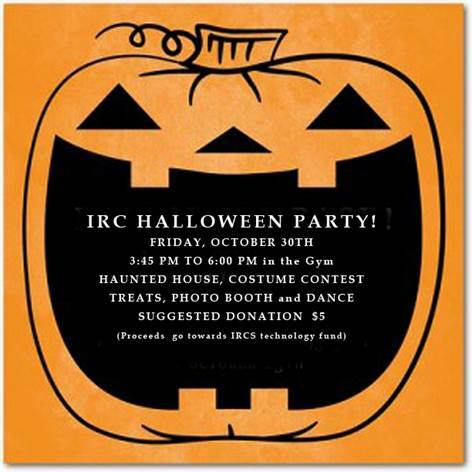 The IRC Parent Council Fundraising Committee is hosting a Halloween Party in the gym after school on Friday Oct 30th. All family members are welcome. Please note that this is an after school party, so a parent or caregiver will need to be present. Hope to see you there!! 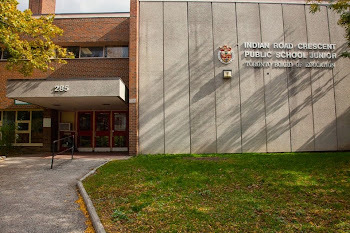 On behalf of Parent Council, I’d like to welcome you to another year at I.R.C.! The I.R.C. Parent Council raises funds to supplement our children’s school experience. In the past, parent council has funded field trips, art, music and science programs, sports and playground equipment, technology upgrades, as well as classroom supplies and learning tools. Parent Council is also a forum for sharing important information and discussing issues that affect our children and our community. Everyone is welcome to come to the monthly parent council meeting, which takes place on the second Tuesday of every month at 7:00 p.m., at the school. Childcare is provided in the gym. The next meeting will be on Tuesday, October 13, 2015. This is a great way to stay connected to the I.R.C. community. Up to two people can be a single classroom’s representative. If you are interested, please email me at the following email address by Friday, October 16th, 2015: kmcnabney@rogers.com. Today is “International Walk to School Day”, which kicks off our ‘Walk to School Wednesday’ Eco-school initiative! We encourage all IRC students, staff and families to walk to school as much as possible! “Walk to School Wednesday” is a healthy way to start your day! A reminder that Monday October 12th is a holiday and the school is closed. Wishing everyone a very Happy Thanksgiving weekend! Our next parent council meeting will be held on Tuesday October 13th , beginning at 7:00 p.m. 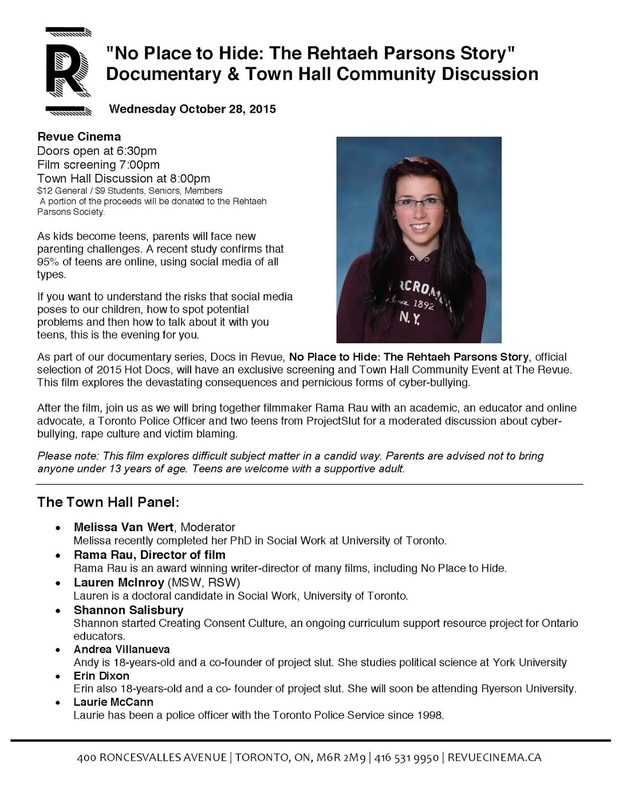 Please see the attached agenda, and plan to attend! For any parents interested in understanding the TDSB financial situation, here is the link at the TDSB site that lets you look at school budgets. Just pick the school you are interested in from the pull down budget. 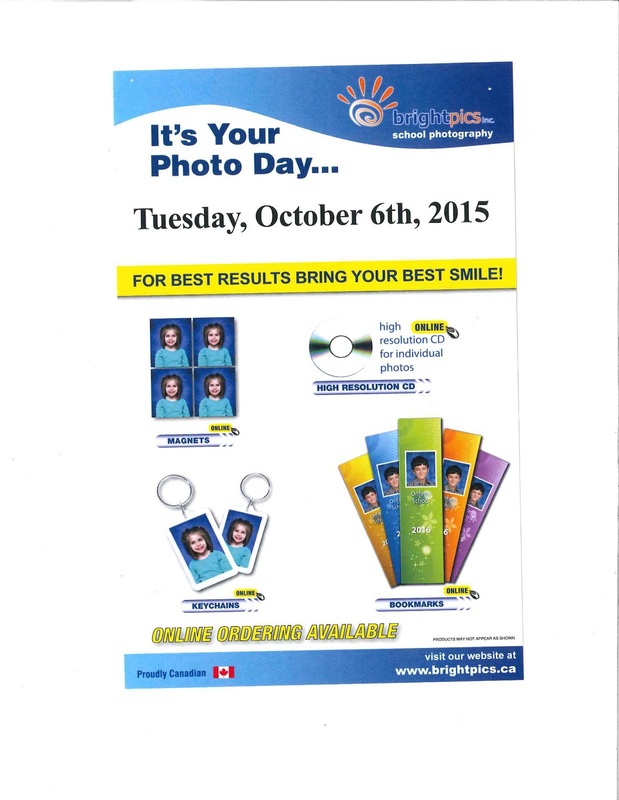 REMINDER - TOMORROW IS PICTURE DAY!!! Many thanks to the IRC families who helped to raise a total of $2, 485.00 for the Terry Fox Foundation. 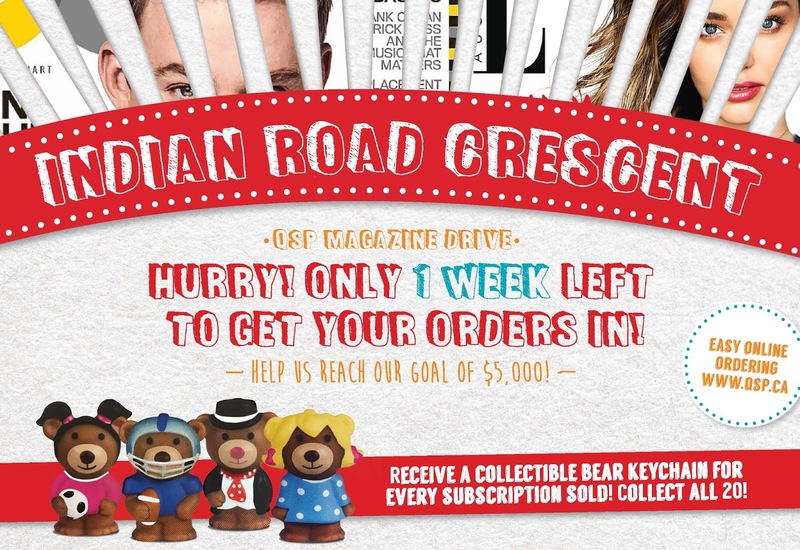 IRC is proud to be involved in our continued efforts to help fund cancer research. If you have not received the weekly IRC electronic mail out in your inbox, please call the school at 416. 393. 9025 to ensure we have your correct email on file. You can also update your email/contact info if you have previously provided an email address that is no longer current. QSP MAGAZINE DRIVE STARTS TODAY! 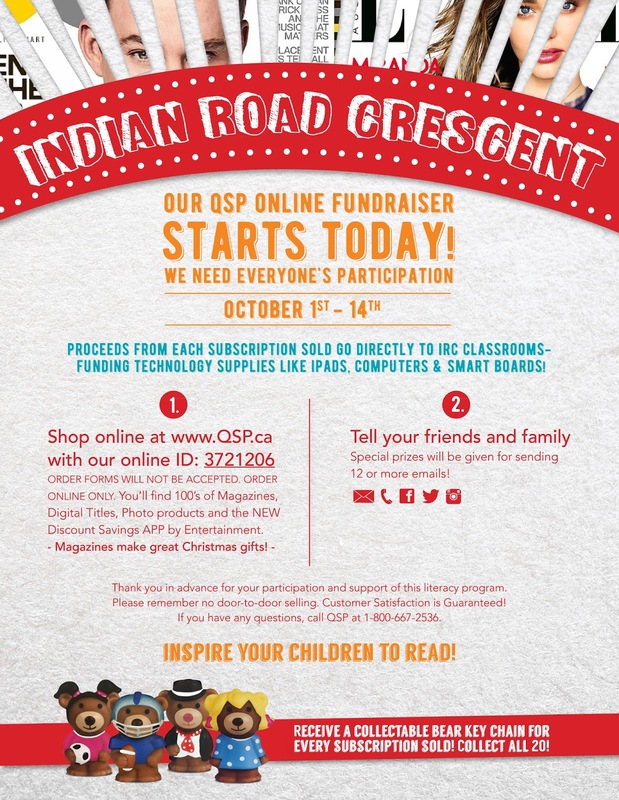 WANTED - Parents to help distribute QSP fundraising materials to Full Day Kindergarten classes. If you are able to assist, please contact the main office.